The article provides an inside look at Ginger’s rescue operations, and can be read in full here. It is reprinted in part below. When it comes to saving dogs’ lives, animal rescue has no boundaries for Ginger Luke of Seattle and Melissa Lingk of Tacoma. Both receive their share of angry e-mails for bringing in animals from far outside the Puget Sound area, fostering them and then finding “forever homes” for them. Ginger’s Pet Rescue has found homes for more than 1,800 dogs since January 2006 but the demand is seemingly growing. Many arrive with several health issues and are mid-age and older. In other words, not prime adoption candidates. Last month, Ginger’s Pet Rescue was focused on finding homes for several dozen dogs rescued from Southern California wildfires. These were animals that were left behind or simply ran during the wildfires, ending up in shelters or on the streets of a nearby community. Most were not microchipped nor had ID tags. But the chore facing Luke and her corps of volunteers isn’t simply repairing these animals’ physical maladies. Their psyche needs plenty of work, too. Imagine being displaced from the comfort of your home by a fire, then being on the move for days, eventually being moved to an overflowing animal shelter, then being trucked north to an entirely foreign environment. That’s enough to totally rattle anyone’s psychological barometer. 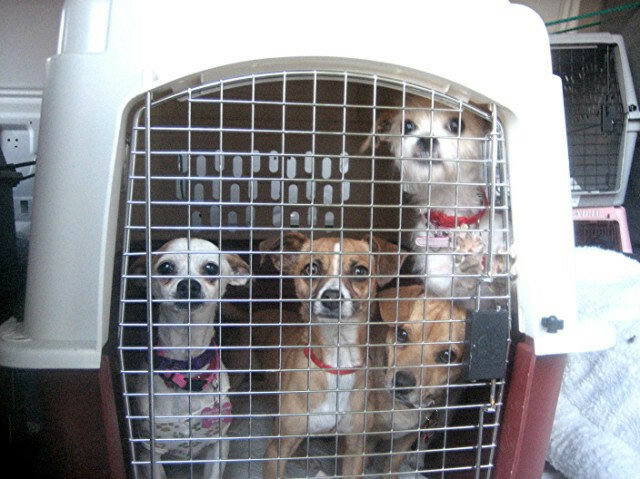 The crated animals are brought north in a truck, usually with 30-plus per trip. They are met in this area by volunteers, where all of their paperwork is examined closely and medical needs are determined. Via web-site notices (www.gingerspetrescue.org), she attempts to have enough foster-home volunteers in place to accommodate every incoming animal. “I feel like a ‘Dear Abby’ for dogs some days,” she admits. In fact, while interviewing her at the Rickshaw Restaurant, one teary-eyed woman came in with a printout sheet containing a photo of her pit-bull mix that was in need of an immediate home. The dog, however, had behavioral issues with other dogs, which stopped Luke right there. Ginger’s Pet Rescue has no paid staff, but one of her volunteers does animal-behavioral analysis, and Luke assured the pet owner she would discuss the matter with her. “This happens every day,” she said. Does she ever worry about burnout among the volunteers? “You bet, ever day,” she replies. Last month, Luke found an incredible benefactor who is donating the use of a lighted and heated warehouse in South Seattle for use as a staging area for incoming dog transports. This will allow the Ginger’s Pet Rescue team to do all necessary documentation and clean all animals before sending them to foster homes. The same individual purchased and insured a rescue van and equipped it with 40 crates for the organization. “The dogs hit the jackpot, and we are so indebted to him,” added Luke. Ginger’s Pet Rescue 2007 operating costs were $86.593 ($6,395 for dog rescues and $30,088 for veterinary bills). 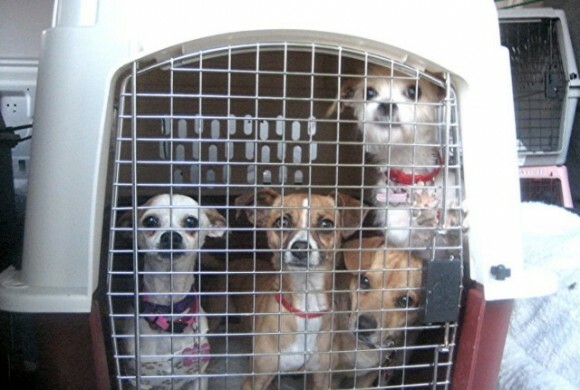 They soared to $243,527 in 2008 (dog rescues costing $125,690 and veterinary expenses $46,822).